I'm not a big fan of musicals, the last time I saw a musical it was Les Misérable and thought it was utter tosh and just didn't get it. When I saw the trailers for The Greatest Showman I just knew that Mrs. Cool would want to see it and I had a sinking feeling I would be dragged along. The Greatest Showman has been out for a few weeks now and the hype has been building up with everyone saying how good it is but I was unconvinced as these were the same people who said Les Mis was so good. I thought I had got away with not seeing it but then Mrs. Cool dropped the bombshell that on one of my days off work when the kids were at school we would be going to our local cinema. Well, I could not be more wrong, DO believe the hype. From the very first scene with Hugh Jackman as P.T. Barnum singing The Greatest Show as we see his dream show unfolding I was hooked. The Greatest Showman follows P.T. Barnum from the son of a poor tailor to a homeless orphan to a clerk at a shipping company. Barnum marries his childhood sweetheart, Charity (Michelle Williams), against her fathers wishes. They have a couple of kids but are pretty poor, things get worse when the company Barnum works for goes bust and he is unemployed. Using some under handed tactics he manages to get a loan from the bank to start his museum of curiosity. It's a failure as no one wants to see stuffed animals and waxworks, so, after an idea from one of his daughters, he decides to enlist the help of real people with unique abilities. Featuring acts like the Bearded Lady, Dog Boy, The Irish Giant, A Trapeze Act and the Worlds Heaviest Man things start to pick up. Barnum is able to move his family into a big fancy house just down the road from his wife's parents (Just to rub their noses in his success). Even being taken on a trip to London to meet Queen Victoria by his business partner Phillip Carlyle (Zac Efron). There is also a forbidden love story between Carlyle and Ann Wheeler (Zendaya). He is the son of a rich aristocrat and she is one of the trapeze artists in the circus. However the success isn't enough and Barnum wants to be accepted by the upper classes so to improve his status he takes a European opera singer called Jenny Lynd (Rebecca Ferguson, not that one) on tour. The tour is a roaring success but Barnum being away from home puts pressure on his marriage and causes tension between him and his original acts. After Lynd quits the tour and a disaster at the circus Barnum is left penniless again and has to eat some humble pie. He needs everyone's help and they all to pull together to get a new venue sorted so they can try and put on The Greatest Show. I really can't over emphasise how much I enjoyed The Greatest Showman. The performances are great, the whole cast is amazing, I can't single out one individual performance as everyone was so good. It's a proper feel good film and the soundtrack is great. I was tapping my foot from the first scene and every song will get stuck in your head, I've even been listening to the soundtrack in the car for the few days since I saw the film. The more I think about it the more I realise how good it is, I would go so far as to say it is the best film I've seen in the last few years. Everyone really needs this film in their life by the end you will be singing along. This is where you wanna be". Fancy going to see The Greatest Showman yourself? Enter my Giveaway using the Rafflecopter below for your chance to win a £10 Odeon Gift Card. Giveaway ends midnight 1/4/18 and daily entry is available via Twitter. Good luck! I haven't got to see it yet but heard so many great reviews! It's fantastic - absolutely loved the movie! Loved it. Hugh Jackman was great. I haven't seen it yet but it looks amazing! Will be WONDERFUL - thats when i manage to see it ! I am SO glad that you enjoyed it, we're obsessed and wondering if we can fit in a third visit before it disappears from the cinema! I've never seen it but my mum absolutely raves about how wonderful it is. Anything with Hugh Jackman in it has to be good if you ask me! Well it has Hugh Jackman in it, so it must be good! I've not seen it yet but it looks great! It looks great! I’ve heard the songs a few times and they’re fantastic! The performance during the Academy Awards Ceremony for their Best Song nomination was so good! 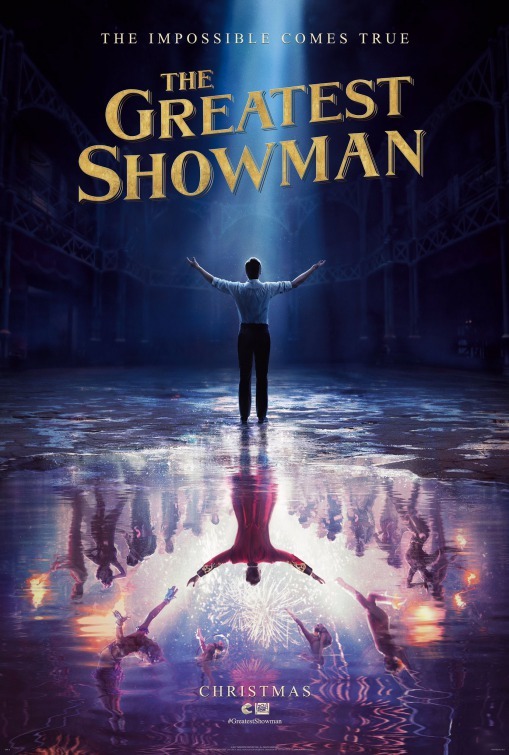 I love the greatest showman i've seen it three times and still enjoy it each time i watch it. We haven't seen it yet I'm to watch it with my mum at some point because she keeps saying how she really wants to see it. Not seen it yet but looking forward to it. Haven't seen it but I love Hugh Jackman & I've heard some of the songs. It looks like an amazing film & I can't wait to see it. I love this movie so much, I can't stop listening to the soundtrack! yet to see it, but really want to!! It looks like a great movie and I would love to see it. We all loved it. It's a great film. We'll definitely be getting the DVD when it's released. I haven't seen it, but I know quite a few people who love it. I've not seen it yet. I am going to see it with my teen over the Easter holidays though! I've heard all good reviews from friends so am looking forward to seeing this. I've not seen it but it is on my list. I really want to see this film as i have read very positive reviews and it has a great cast. i loved the greatest showman!! Absolutely fantastic and the soundtrack is addictive! I haven't seen it yet but I've heard great things about it! I loved this film , great music and entertainment. I've not seen it yet, but it sounds well worth watching. Thanks for running this giveaway. I've not seen it yet, but my sister loves it. She listens to the soundtrack constantly. I like musicals and seems a good theme / story. I've mpt seem ot nut I have heard that the music is amazing. Haha I was exactly the same when I first heard about it, it did seem to be all the folks who'd seen Les Miserables (I agree utter rubbish, could not get into it at all) saying it was great and I had my doubts but I took the plunge and I thoroughly enjoyed it! I came out the cinema and spent the whole week listening to rewrite the stars on repeat. My cousin's kids were telling me they had to learn one or two of the songs to sing in their school show they were doing which I think is great!